Not long ago, there weren’t many options for storing data on your computer. 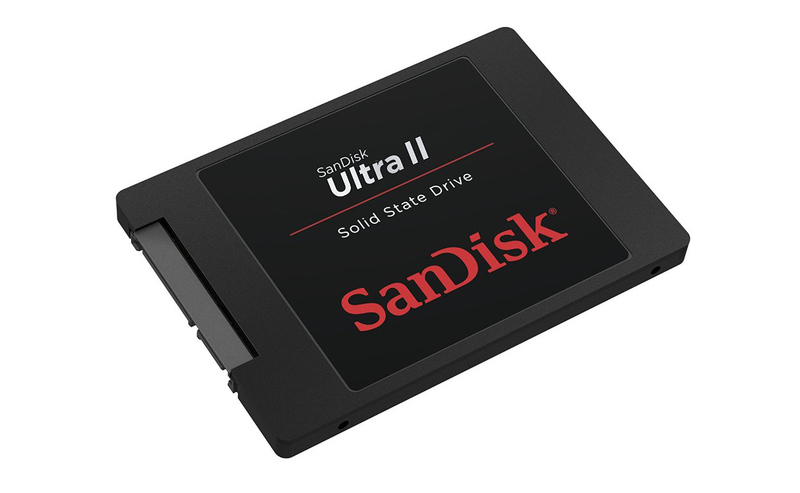 Standard mechanical hard drive disks (HDDs) have long been the de facto choice, but a different type of storage drive is becoming much more popular: the solid state drive (SSD). Solid state drives bring a wealth of improvements over standard HDDs, so let’s take a moment to understand why many PC builders are now choosing SSDs for their primary data storage solution. What’s better about solid state drives? One of the greatest improvements that SSDs offer over HDDs is a huge increase in speed. 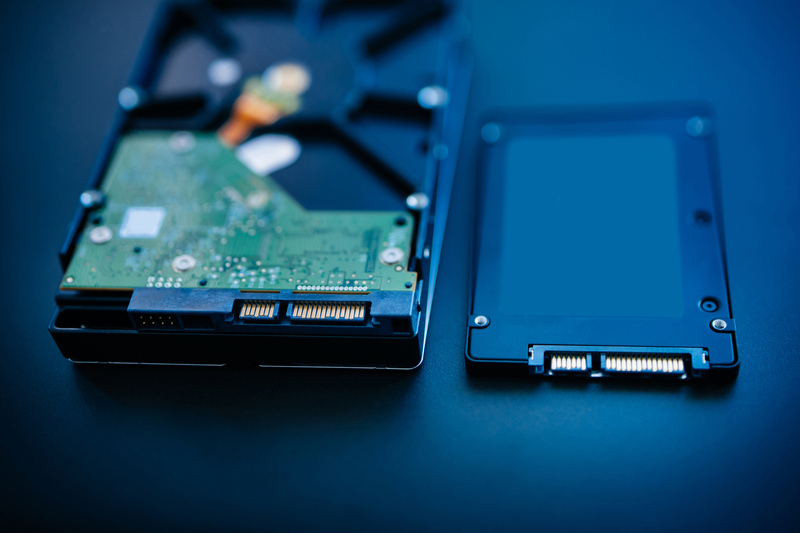 To understand why SSDs perform faster than HDDs, it’s helpful to know how hard drives work and how solid state drives differ in function. An HDD is essentially a disk that spins very rapidly. Data is stored in billions of magnetic “bits” on the surface of the disk. The most common hard drives have disks that spin at either 5,400 or 7,200 revolutions per minute. A read/write arm then interacts with the disk, either writing data or accessing it. SSDs work differently – in fact, there are no moving parts at all. Data is stored and accessed on a special type of memory called NAND memory, a type of memory quite similar to RAM. NAND is slower than RAM, but it retains data with the power is turned off. NAND memory is inherently faster than reading from a disk, because it’s only limited by the speed of electrical signals, rather than the speed of the spinning disk and mechanical arm of an HDD. One of the most noticeable ways that an SSD improves a PC’s overall speed is the dramatically lower boot time. A computer with an SSD boots almost three times faster than a computer with a regular HDD. This speed advantage also applies to launching and installing software, and opening, copying, or moving files. There are plenty of other reasons to prefer SSDs over HDDs. For example, since SSDs don’t have any moving parts, they essentially run silently. Hard drives, on the other hand, will emit sounds both from the spinning of the disk and the clicking of the read/write arm. Although hard drives have come a long way in noise reduction technology, they can’t come close to the silence of solid state drives. This gives SSDs the edge for media centers or music production PCs. Solid state drives are also more durable than regular hard drives. This is particularly important with laptop computers that can often get thrown around. Dropping a standard hard drive is a recipe for data loss, especially when the computer is running. Early SSDs were plagued with reliability issues, but those have been resolved. Modern SSDs will last many years. Another reliability issue with SSDs is that the NAND memory wears out after a limited number of reads and writes. The amount of reads and writes can seem very low – less than 10,000. However, manufacturers have found clever ways around these limitations. Extra “backup” NAND that automatically replaces worn out NAND is included. Reads and writes are automatically spread across all the available NAND, so that individual areas don’t get worn out quickly. Even the least reliable SSDs in Tech Report’s endurance test survived the equivalent of 191 GB of data written every single day for 10 years! Should you store everything on your SSD? Unfortunately, the price per gigabyte for SSDs is still quite high. This means that you cannot really buy SSDs to store all of your data, particularly if you have a few terabytes of movies, series, and music. The best use for an SSD is to store your operating system, and your most frequently used programs, including some of your most-played games. Once you’ve decided to buy an SSD, there are generally three major factors to consider when choosing the right one: storage capacity, price, and performance. 1. 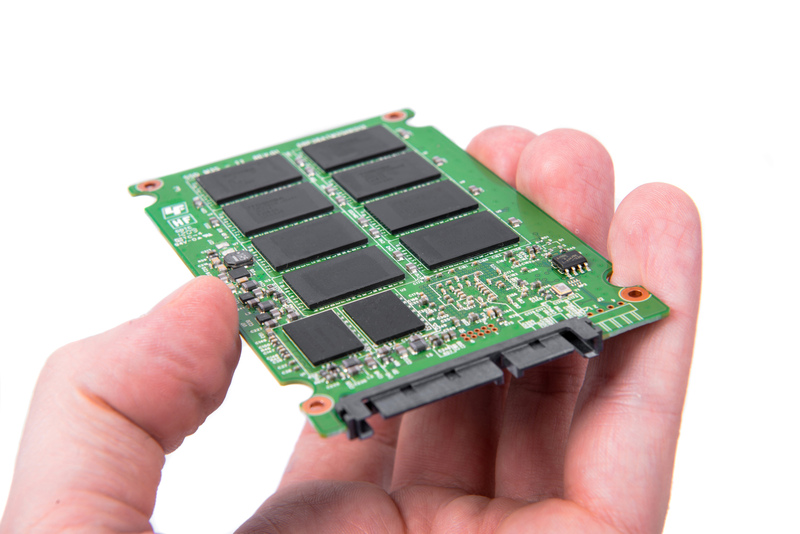 Storage Capacity: While SSDs improve over HDDs in most ways, they do have some drawbacks. The most noticeable issue is their relatively low storage capacity when compared to HDDs at the same price. The most common solid state strives come in 128GB, 256GB, 512GB, and 1TB sizes. Most PC builders will select a mid-size SSD (120GB or more is recommended) and install a high capacity HDD as a secondary drive. The operating system gets installed on the SSD, as well as frequently used programs and data – anything that you would want to boot quickly. The HDD serves as a storage drive for larger files, such as movies or music. 2. Price: Though the price per gigabyte of SSDs is higher, the performance benefits are worth it. Just like with regular hard drives, SSDs with higher storage capacity will cost more, with the highest capacity drives costing more per GB than the more modest sizes. That said, the price per GB of SSDs is rapidly decreasing as they grow in popularity and production. 3. Performance: If you’re coming from an HDD-only system, know that every solid state drive on the market will out-perform your current hard drive. That being said, comparative performance is still an important factor in selecting which solid state drive to purchase. There are two main performance measures used to determine how fast an SSD can perform: IOPS, and sequential read and write speeds. IOPS measures the number of input/output operations per second. Sequential read and write speeds tell you how fast large files will be transferred. Together, these give you a good idea of how well the SSD performs. Check out this article from AnandTech for more information on SSD performance. Just about anyone who switches from a standard hard drive to a solid state drive will tell you they can’t imagine going back. Upgrading to an SSD is one of the single most effective ways to make your computer feel faster. As with all computer components, good research – along with a little bit of deal hunting – will ensure that you get the perfect SSD for your system. You can see the SSDs we recommend for having the best combination of speed, reliability, and price on our main parts list.